9th Street Vision Center (Brooklyn) - Book Appointment Online! 9th Street Vision Center has served the Park Slope community in Brooklyn, NY since 1999. 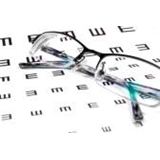 We help people of all ages see more clearly, comfortably and easily. We take time to treat you as an individual and take pride in offering the best professional services and products in Park Slope to ensure your total satisfaction. Our professional team of physicians and specialists are here to serve you. In addition to routine eye exam and contact lenses fittings, we also provide screening and treatment for glaucoma and cataracts. We use State-of-the-art equipment to diagnose ocular conditions and diseases. You can rest easy knowing you are already in the hands of an expert in diagnosis and treatment of ocular diseases or conditions. We feature a large selection of fashion eyewear and contact lenses. Medicare, Medicaid and most insurance plans are accepted. We are open Monday to Saturday. They didn't take my insurance, even though it said they did on zocdoc.